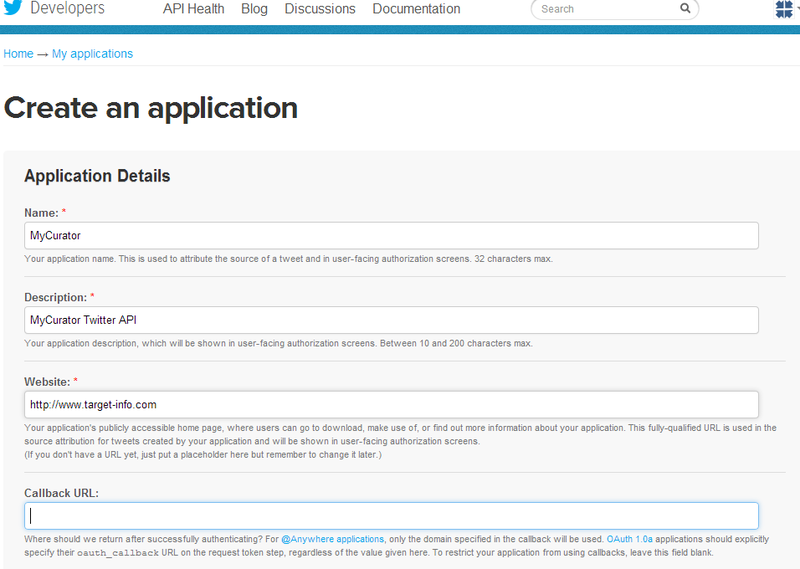 To use the new Twitter API for content searches and to follow a user, you must first set up a Twitter API account. Once the account is set up, you will copy your consumer key and secret into the Twitter Options tab. The steps are detailed below. Go to the Developers website: https://dev.twitter.com/apps. Sign in with your Twitter Account. Click “Create a new application” button on the upper right (as shown below). Fill in the Application Details page as shown below. You should use your own application names and descriptions. Scroll to the bottom of the page, click the Yes I agree checkbox and enter the Captcha information. Click the Create your Twitter Application button at the bottom. 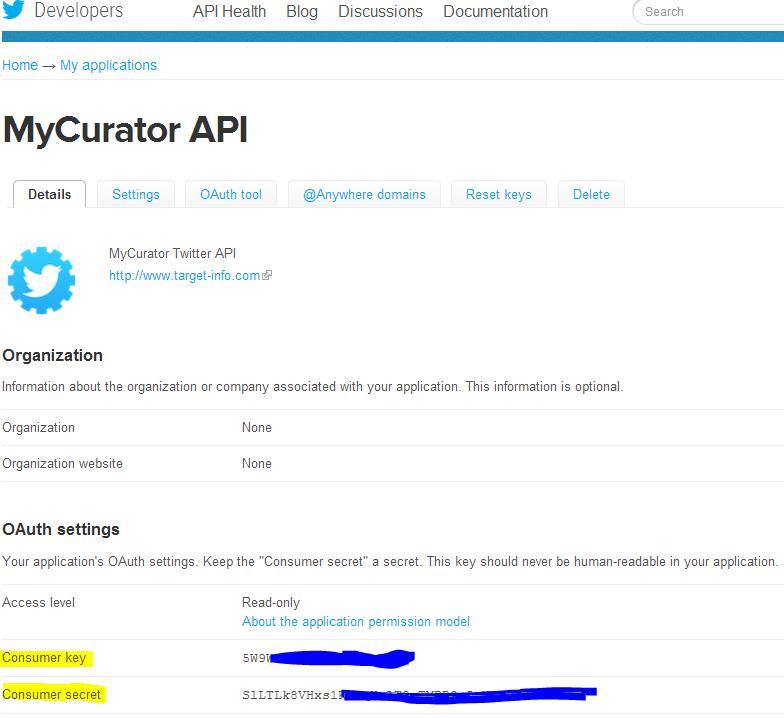 Copy the Consumer Key and Consumer Secret highlighted in the screen below into the same fields in the Twitter tab of the MyCurator Options page. Click Save Options and you should be ready to process your Twitter searches and follows.